The Moon is an astronomical body that orbits planet Earth, being Earth’s only permanent natural satellite. It is the fifth-largest natural satellite in the Solar System, and the largest among planetary satellites relative to the size of the planet that it orbits (its primary). Following Jupiter’s satellite Io, the Moon is second-densest satellite among those whose densities are known. 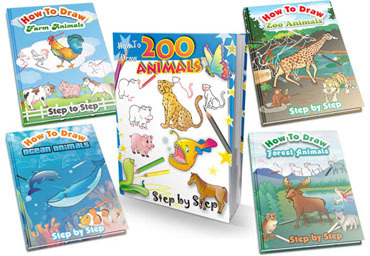 Here are the steps to draw Cartoon Moon. Enjoy! 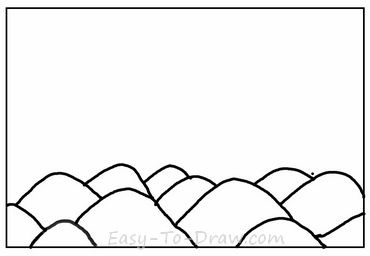 Step 1: Draw the outlines of the mountains. 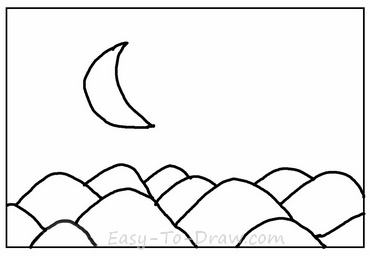 Step 2: Draw a crescent (new moon) above the mountains. 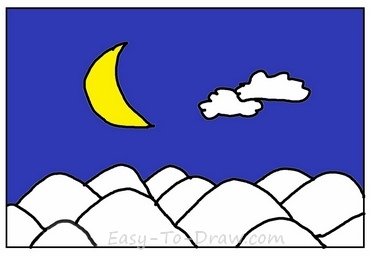 Step 3: Draw some clouds beside the moon. Step 4: Color the sky dark blue, so it looks like at night. 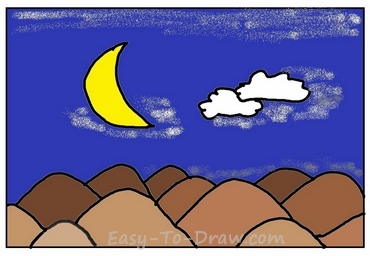 Step 5: Color the moon in bright yellow color. 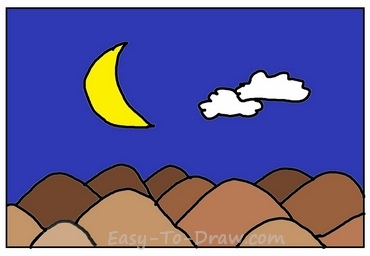 Step 6: Color the mountains in light brown and dark brown. Step 7: Spay some white dots in the sky. 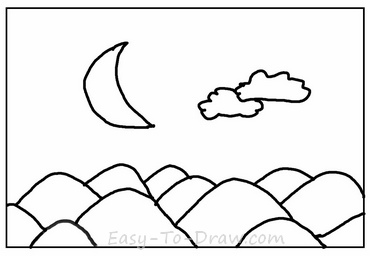 Step 8: Draw some stars around the moon and the clouds. Step 9: Add a halo outside of the moon. To guide my Dreamland stay. 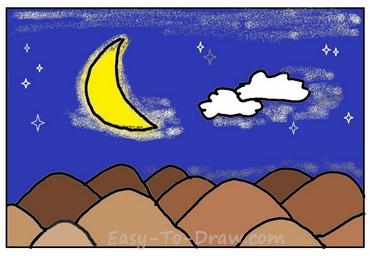 Moon Video Drawing Tutorial for kids!